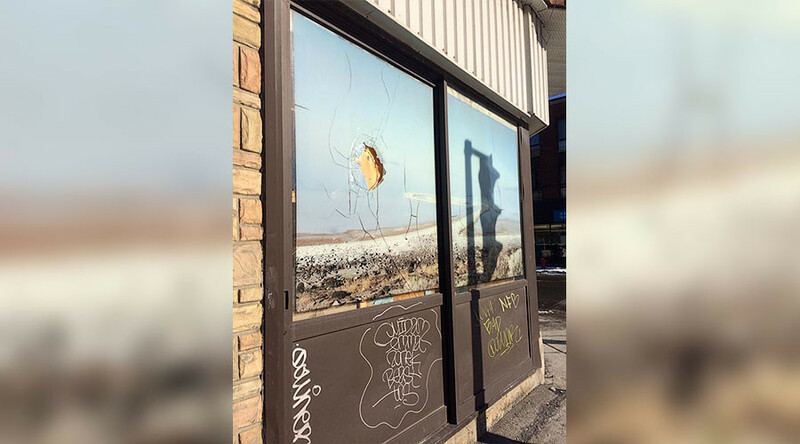 A mosque in Quebec was vandalized with graffiti and had its windows smashed on Thursday, the same day thousands of Canadians attended the funerals of Sunday’s gun attack victims. Six people were killed and 19 injured in the shooting. Police said the Khadijah Masjid Islamic Center in Montreal had been the target of vandals and were investigating the motive as a possible hate crime. Mosque Director, Ashek Ahmad said the building had been sprayed with graffiti just days before the gun attack, but did not initially believe it was particularly sinister. Local Member of Parliament Mark Miller also condemned the attack in his constituency. I have just confirmed that a mosque in my riding in the centre of Montreal has been vandalized. I condemn this disgusting act!